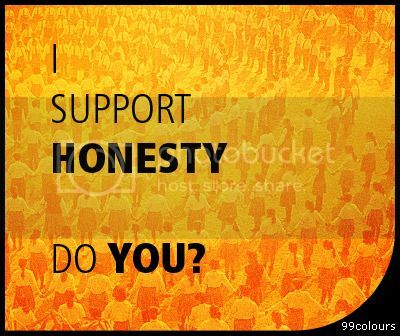 I support honesty, Do you ? Admit it. We love honest people. We respect honesty. No matter how dishonest we are, we need honest people around us. Honest people are cool in their own special way.